One of the Communication Media Department Programs for 2019 for the New Britain New Ireland Mission of the Seventh-day Adventist Church is the Computer Training for Pastors. Pastors and Ministers are being given the opportunity to take part in a 4-day Computer Training where they go through MS Word, MS Excel, Windows and Computer Systems and Web and Internet Skills. The aim of the training is to help them in their report writing, accessing and searching for information online and sending their reports and using email. Many find there is little time to equip themselves with skills, especially technical skills that can further assist them with their work in the administration and management roles that they play. The Seventh-day Adventist Church has a reporting system in place where reports from the field (local churches) have to be sent at a certain time to the local mission, which the local region mission sends to the next level up - national mission and to the division and to the General Conference (headquarters). These reports are compiled and statistics on church membership, tithes, offerings and other information are being compiled and then disseminated to administrative bodies and/or back to its membership. Thus it is essential that reports are timely, accurate and efficient. The Computer Skills training that the pastors have participated in will assist with the compilation and sending of reports in timely and in presentable manner. 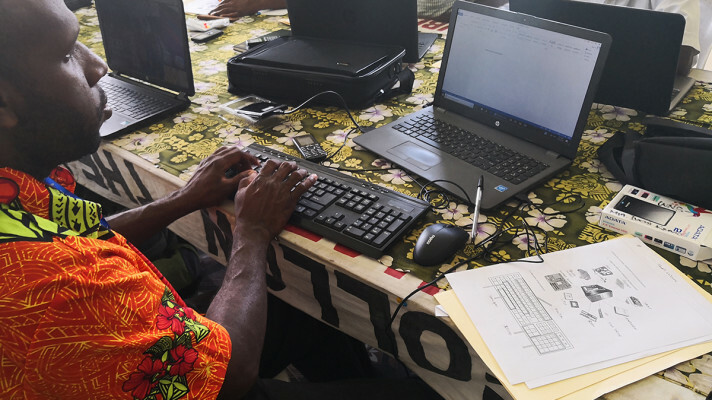 A pastor in the remote part of East New Britain, attending the Computer Skills Training, expressed his excitement over creating his gmail account and learning how to connect his phone internet to his laptop for sending of reports. "Now I can easily send my reports to Head Office in Kokopo on time, instead of having to wait for the ship to take them across, which most times reports are late." Min Johnny Kamai, District Director Pomio stated. The first lot of training took place in Kokopo, East New Britain where 12 pastors attended and this week (4th - 7th March) sees 16 pastors attending and completing the West New Britain Computing for Pastors training. Next week will be the final session for New Ireland Pastors.